Every Year Pacific Top Team Brazillian Jiu Jitsu in Corona host a free community outreach event for Women in our community with a Women’s Self Defense Workshop! On Saturday, September 1, 2018 we had the mats full of women who took the time out of their Saturday to invest in themselves and learn valuable self defense techniques. Equipping yourself with the skills that you need to possibly save your life is something every female out there should have. It’s unfortunate that women in general are the target of so many crimes, but no women should feel helpless as a victim. The 2 hour workshop focused on strategies to carry yourself in a confident manner, assess situations for level of danger and techniques to break grips and control situations including two very effective chokes that would put your attacker unconscious in seconds. at (951) 662-0162 and get started today. Not only will your learn essential life skills but will build relationships and get a great workout it! Don't wait, start today! Congrats Jeremy on the well deserved Brazilian Jiu Jitsu Blue Belt Promotion. We are all super proud of you! Jiu Jitsu is a martial art designed for a smaller, weaker person to control a bigger, stronger opponent making it perfect for Self Defense. The chokes taught in Brazilian Jiu Jitsu are perfect for self defense situations. There are two types of choking techniques, air or blood chokes. A air choke would be squeezing the throat and essentially suffocating someone to death. A blood choke squeezes the arteries on the side of the neck which stops the blood flow to the brain causing them to go unconscience. Once you begin applying pressure, it takes about 3-5 seconds for unconsciousness to follow. Knowing how to apply various blood chokes is a life saving skill. If you are in a dangerous situation, being able to subdue your attacker without causing permanent harm and giving your the opportunity to call for help is a skill everyone should have. Most people feel that if they attend one self defense seminar that they now have enough knowledge and skills to be able to defend themselves. The truth is, you need to practice these skills regularly so you don't need to think and you can just react. Training teaches you to react without thinking and helps you gain the confidence to apply chokes when someone is not allowing you to do so. Don't allow yourself to be a victim, equip yourself with skills you need to defend yourself if ever needed. Start your Self Defense Journey Today! Spend Valentine's Day on the Mat with Us! Enjoy a Date on the Mat with your Loved one!!! Bring your significant other or just a friend for this FREE Self Defense Workshop. No Gi Required, just comfortable workout clothes!!! Check out this video with important details on how to finish the Kimora from Professor JP, Head Instructor at Pacific Top Team Brazilian Jiu Jitsu in Corona! Interested in starting your Jiu Jitsu Journey today? Call us at (951) 662-0162 and ask about our 30 Day Free Trial!!! Typically at most Jiu Jitsu Academy's, instructors are available for private sessions. Sometimes in a class full of students, it can be hard to get the 1 on 1 attention you may be craving. Just like in school when you want to put in extra effort and you hire a tutor, you can invest in a few private lessons to help. 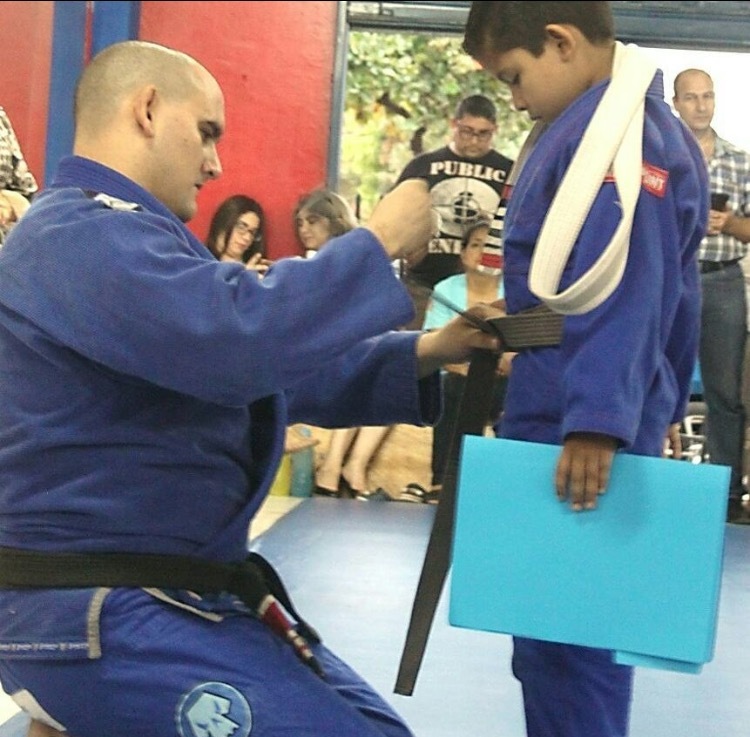 Here are some of the benefits of investing in private lessons in Brazilian Jiu Jitsu. Individual attention from your instructor: During these sessions, you get to have your instructor all to yourself. This is a great time to ask any questions you may be having or advice for your specific game or upcoming competitions. Customizable help: Your instructor can give you specific feedback for your game. They may have some tips or tricks for you body type or be able to fix any bad habits you may have picked up. Flexible scheduling: Sometimes work or life gets hectic making getting to class hard, but if you schedule a private, most instructors are willing to work around your schedule. 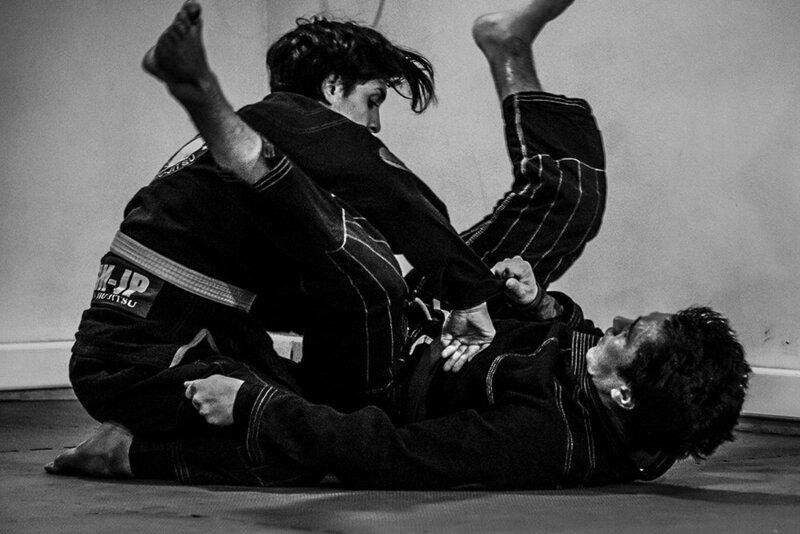 Quicker road towards achieving your goals: Private can accelerate your goals and give you that extra edge in competition or just on the mats in general. CONTACT US TODAY AT (951) 662-0162 AND ASK ABOUT OUR 30 DAY FREE TRIAL TO START YOUR JOURNEY TODAY! The Crime Statistics is overwhelming against Women. It's unfortunate that Woman are too often victimized, but we cannot be ignorant and have the attitude that it will not happen to us. We as women need to equip ourselves with the skills to be able to defend ourselves if the occasion ever arises. Brazilian Jiu Jitsu is the best Martial Art to learn Self Defense because it focuses on ground grappling where 97% of fights or attacks end up. It is also designed for a smaller, weaker person to be able to control the situation with someone bigger and stronger. I have been training Self Defense and Jiu Jitsu for over 5 years now and feel comfortable being uncomfortable. I pray I never have to use the skills I now have acquired but know that if I was ever attacked I would die fighting for my life instead of just allowing myself be a victim. When I first starting "training" I didn't understand why that word was used, but now I understand that every time I am on the mat, I am "training" to possibly save my life. In the beginning everything was so overwhelming and I had to think about step, and was not confident in my technique. Even in the safe environment of class I was panicked. Now I have trained so much it is like second nature. I see it in my life daily from even the simplest things like my footwork when I walk or being more aware of my surrounding always. No one deserves to be a victim, but it is our responsibility to equip ourselves with skills to defend ourselves if ever needed. What's your game plan if you are attacked?? If you can't answer this question, you need to take the steps today to create one! If you are interested in learning more about our Woman's Only BJJ and Self Defense program here at Pacific Top Team Brazilian Jiu Jitsu, give us a call at (951)662-0162 or email us at pttcorona@gmail.com and get started on your 30 day FREE trial today. 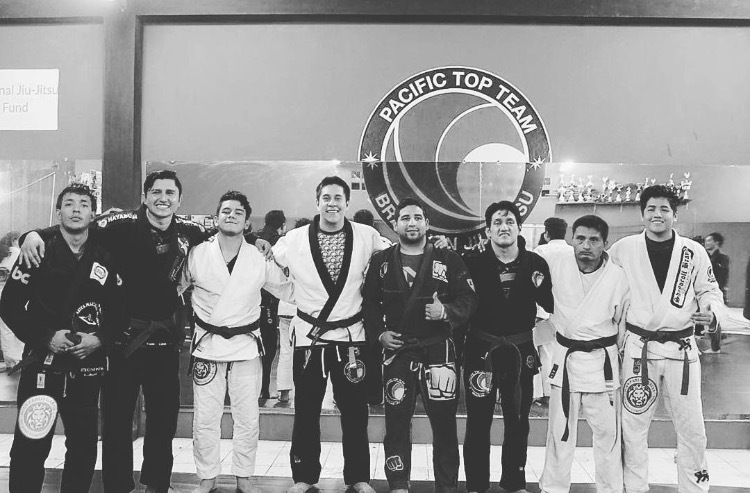 Brazilian Jiu Jitsu in Corona builds strong bonds between training partners, gives you the best all body workout, while learning and having fun! Check out this short video of some Sunday Funday Drills after class at Pacific Top Team Brazilian Jiu Jitsu in Corona. Start your Journey in Brazilian Jiu Jitsu in Corona Today! 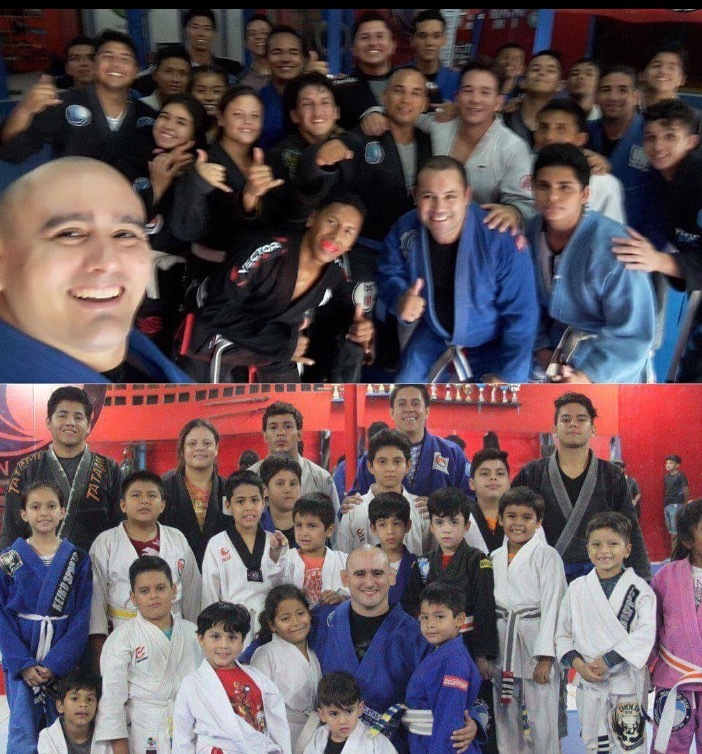 Last week professor JP traveled to Ecuador and spent a week teaching the first annual training camp in Portoviejo - Ecuador finishing the week with a seminar in the city. 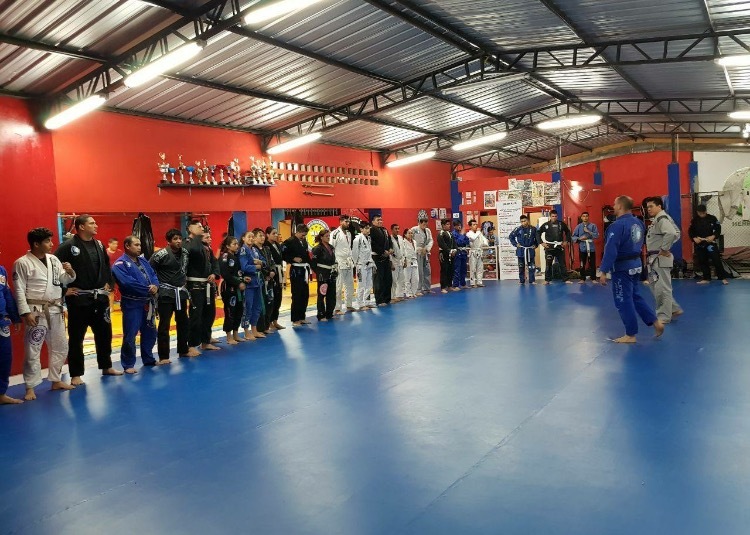 Professor JP fonded the Escuela de Jiu Jitsu that is training coaches in South America to bring Jiu Jitsu to kids that otherwise may not have the opportunity to train! 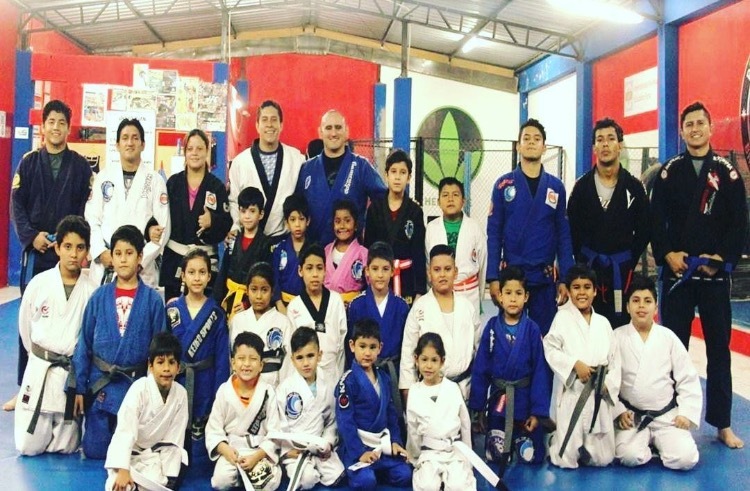 with the support of IJEF (International Jiu-Jitsu Federation) we are able to have free classes for kids that families are not able to afford it. Professor JP was impressed with what a great job Coach Bryan Tamayo is doing with the team down there! The team has had substantial growth and the kids and Adults training have a lot of talent! Congrats to all the new Blue Belts in Ecuador as well as the all the Adults and Kids that were promoted!!! !